Update: For an explanation into the Multiverse revelation of The Delta Episode, click here. For a while there had been speculation that in addition to Pokemon Omega Ruby and Alpha Sapphire, there’d be a third version called Delta Emerald released. Well today Pokemon not only shot that down; but also confirmed it in the most awesome way possible! How can they both deny and confirm something? Simple, by announcing the Delta Episode which will give players new game mechanics, legendary Pokemon and tons of story elements all wrapped up in possibly the best post game activity of all time. Beginning immediately after defeating the Elite Four for the first time, the Delta Episode will follow your adventures in trying to stop more of Team Aqua and Magma plans as well as stopping a massive asteroid from destroying Hoenn. That’s right! No little ‘if you want’ post quests that have zero importance or greater need. You must save the entire Hoenn region from certain destruction! Due to the immensity of this task and the fact that you and Mega Raquaza battle Deoxys in space, it’s safe to assume this is all post game for after you become the Pokemon Legaue Champion. Oh did I forget to mention that? 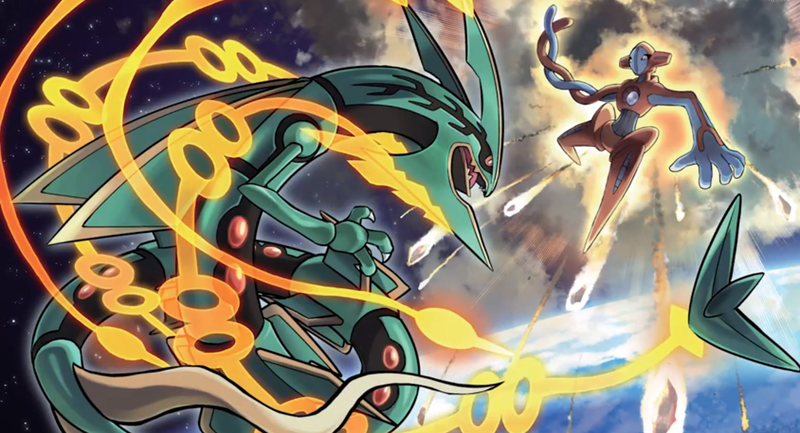 Yes, Deoxys will make an in game appearance for the Delta Episode and it’ll be up to you and Mega Rayquaza to do battle with this Alien Pokemon IN SPACE!!!!!!!! Pokemon Gym Leader turned Champion of the Elite Four Wallace will play a large role in the Delta Episode along with Steven Stone – which follows their increased story role of the original Emerald version. Additionally, it seems as though we’ll learn some more about AZ’s backstory. You remember him right, the really tall guy in Pokemon XY who used to be king until he slaughtered a ton of Pokemon to revive friend Floette. 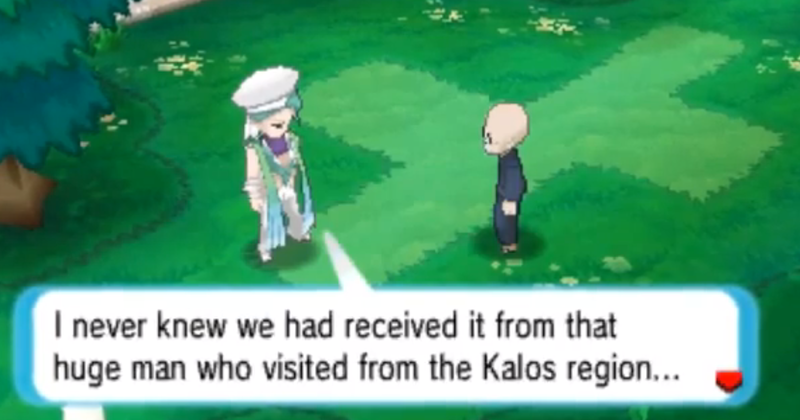 Huge man from Kalos? Has to be AZ . . . I mean how many “huge men from Kalos” can there be? 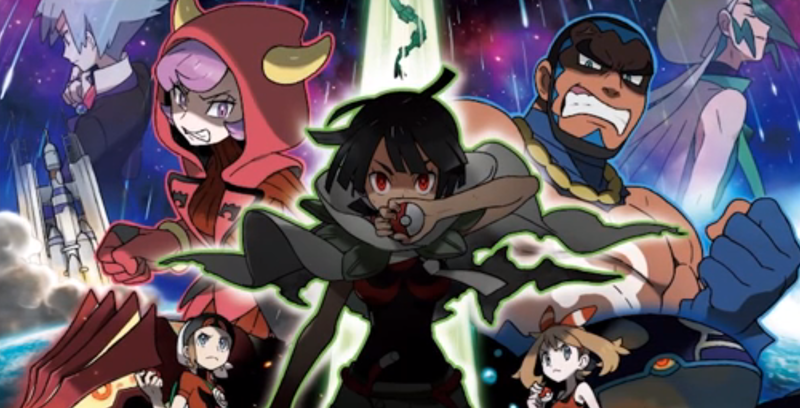 Though in addition to these returning character, we’ll also meet a new character named Zinnia. She has a Mega Stone Braclet on her ankle and will play a yet to be seen role in the story, but it’s sure to be a rival of some sort – whether friendly or antagonistic. When Pokemon announced the new Mirage Spots feature of the Eon Flute with Latios and Latias, they said it’d allow all non-event Legendary Pokemon to be catchable; but they only showed the version Legendaries – Lugia, Ho-Oh, Palkia, Dialga, etc – and none of the smaller Legendaries. Well this trailer also confirmed that indeed all of those other Legendaries will be returning. The Legendary dogs, genies, justice, heart and soul thingys . 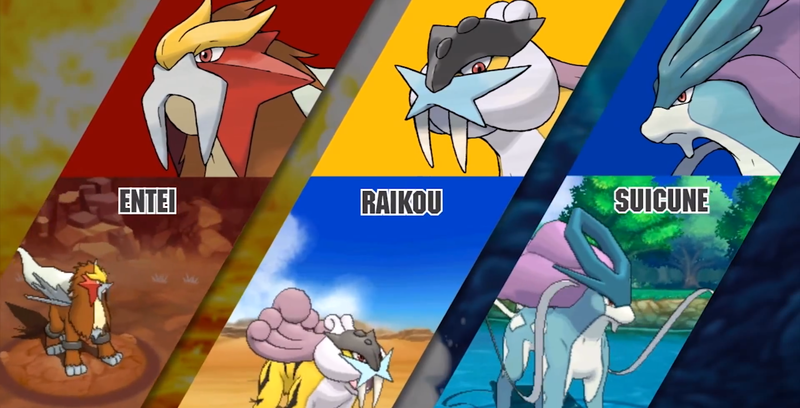 . . yes, all legendary trios and duos will be returning, including Regigigas, which makes sense since the Regi’s were the Legendary trio of the original Ruby/Sapphire/Emerald versions. 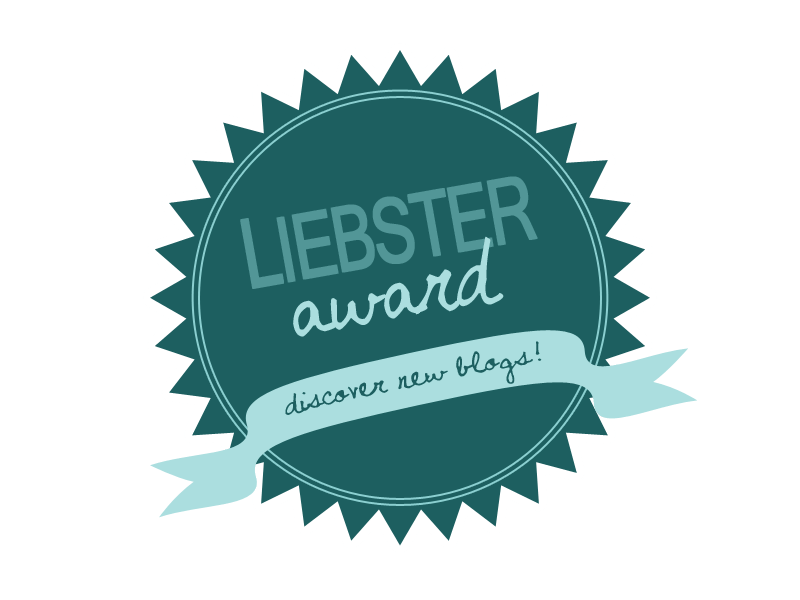 Huge new stories that drive the plot. Tons of legendary Pokemon to search for and catch. Revelations that bring together not only these games but past games as well. Truly this is shaping up to being the most incredible Pokemon game ever. So get ready for November 21st when Pokemon Omega Ruby and Alpha Sapphire hit stores. Before then, be sure to check out the Special Demo if you can and claim your Mega Glalie. I can’t fine deoxys after I defeated him in space, I even looked back at the top of the tower I caught rayquaza at but I can’t find him any where, what do I do to get deoxys? I hate to break it to you Kyle, but I think that IS the time to catch Deoxys. When you and Rayquaza go to fight it. Its one of those defeat or capture moments – much like Yveltal and other legendaries before it.